I swear if you have allergies you do not wanna live in FL, they are pretty much year round here. My son woke up last night with a nose bleed, I thought I had a dream but when I got up the bathroom was covered in blood. He probably was half awake when dealing with it himself. How can I help him so he is not having nose bleeds so often, well one way is the Clear Revive Nasal Spray and Captain Peppermint. All natural non-medicated Captain Peppermint was developed to help moisturize and soothe dry noses due to unfavorable conditions – removing mucus, irritants, allergens & debris from the nasal passage, which may also assist with sinus pressure and headaches. Kids love it! 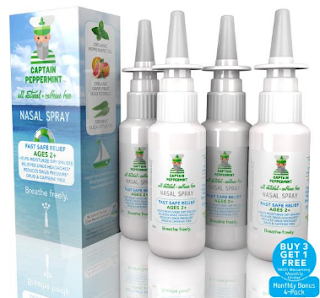 Safe for frequent daily nasal care, Captain Peppermint is gentle enough for infants, and can be used in conjunction with prescribed medications. 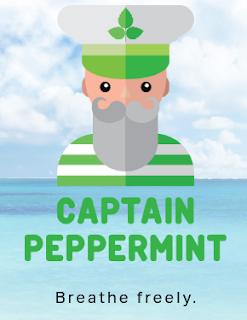 With pure ingredients like grapefruit seed extract and peppermint & eucalyptus essential oils, Captain Peppermint is changing the way we think about nasal spray. Because our drug-free formulas leave no dependency on medications or other addictive ingredients, you're now free to live your life with a newfound sense of health and vitality. More and more doctors and ENT specialists are recommending Captain Peppermint to help their patients. Safe, gentle, doctor recommended. Made in the USA. And if you'd like the same great Captain Peppermint ingredients with the benefits of menthol, Clear Revive offers an amazing alternative. 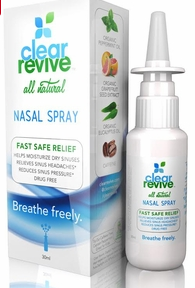 Whether you suffer from allergies, getting a dry nose, cold, flu, etc you can use the Captain Peppermint or Clear Revive Nasal Sprays. My husband loves to have the ac set to 71 along with a fan, I don't mind the cold, but my nose gets so dry that it hurts. 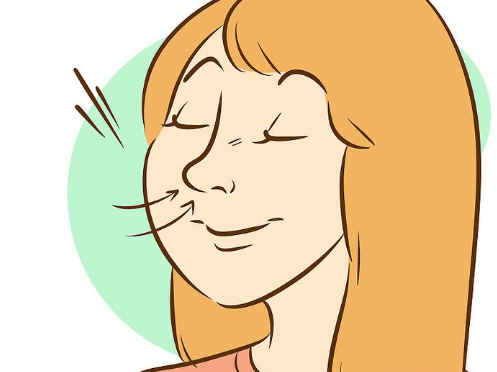 I just do a quick spray in each nostril and I am good to go all day. I have had my oldest son who has the nosebleeds use this and have noticed him having less nosebleeds, which is great because yeah the kid bleeds like crazy when he does get them. My younger children have used the Captain Peppermint to help when they have had a head cold, or just feeling blah. 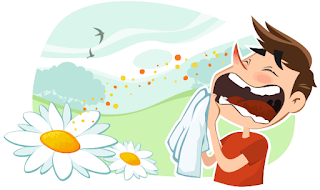 I have noticed that we all have been suffering a little less than normal with our normal allergies which we have plenty of. 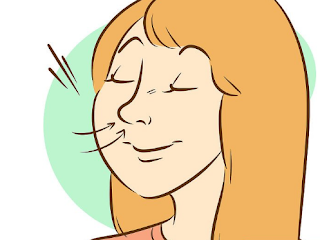 I can breathe better throughout the year now, which helps me sleep better, which leads to me having a better attitude with the family. You can purchase Captain Peppermint and Clear Revive here.